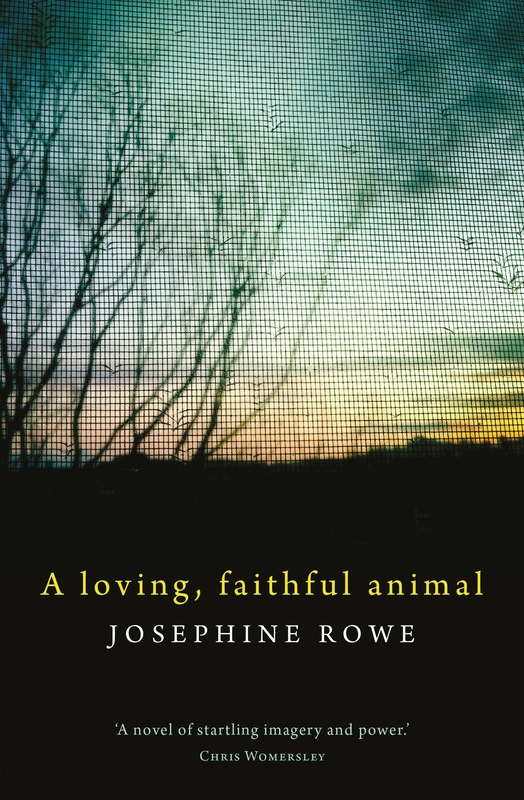 Australian writer Josephine Rowe’s debut novel, A Loving, Faithful Animal paints the portrait of the Burroughs family living in Melbourne during the 1990s. Written from multiple perspectives and presented in fragmented, often brutally descriptive prose, this book was applauded by writers Chris Womersley and Wayne Macauley respectively as ‘a novel of startling imagery and power’, and ‘a remarkable work of fiction’. The novel delves into the harrowed internal worlds of five family members. There is alcoholic father and Vietnam War veteran, Jack, who tries and fails to connect with the man he was before the war; there is his abused and abandoned wife Evelyn, who looks back at her early twenties through rose-tinted glasses. There is wayward teenager Lani, who loathes her mother Evelyn whilst simultaneously becoming her; twelve-year-old Ruby, who is only on the cusp of understanding her family’s despair; and finally, there is their Uncle Tetch, who has cut off his fingers to avoid the military fate of his brother. Each character’s narrative circles around the tragic death of Belle, the family dog, and around Jack’s absence. Wounds are inflicted, both physical and emotional, from which their victims struggle to heal. Relationships are thrown into the fire and incinerated; innocence is lost; trauma is shrugged on like a coat; second chances are given with the right intentions to the wrong people. Rowe makes clever use of fragmentation and multiple perspectives to give new meaning to the phrase ‘broken family’, and to suggest that what is lost cannot be found again. As readers we are handed like a baby at Christmas from Ruby to Evelyn to Jack to Lani to Tetch, which lets us see the family from all angles. With each change of arms, however, we are very nearly dropped; there are large distances between these characters, gaps they are reaching desperately back through in search of each other. Rowe’s fragmented prose allows the reader to feel every unspoken word, every regretted action and non-action—everything that has fallen through. For me, however, the majority of Rowe’s characters felt a little stereotypical, as though they’d all been copied and pasted from previously read narratives. The abusive father, the victimised mother and the rebellious daughter were characters too adherent to their stereotypes for me to engage with or become interested in. That’s certainly not to say these over-familiar narratives of abuse are not important or worthy of publication, because of course they are. Jack, Evelyn and Lani, however, felt a little stale to me, and their eventual fates equally so. Having grown up in a small Victorian town and, naturally, having encountered many working class families, I was disappointed by the characterisations of Evelyn and Lani in particular. There are numerous interesting ways in which the strengths of these two women could have been presented, and it felt as though Rowe simply opted for the easiest. Ruby’s characterisation, by comparison, was my favourite part of the novel. Rowe writes her in second person perspective, which serves to distance her from the rest of her family, and thus bring her closer to the reader. Additionally, Ruby is the only character who narrates multiple sections of the novel; her loving, naive tone both introduces the reader into the novel and leaves the final impression. For me, Ruby is the main character in this narrative; her innocence becomes a gateway through which we meet the Burroughs, and her hope for future happiness becomes our hope that each character is able to find some shade of peace. While the description of loving, faithful animal is ascribed to Belle the dog, perhaps it also applies to Ruby, who loves her family unconditionally and will do so even after there is no family left. 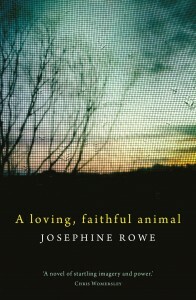 A Loving, Faithful Animal is undeniably a narrative which makes clever use of structure, perspective and a gorgeous prose. A warning to future readers, however—it is not uplifting by even the broadest definition of the word. Read this book for its portrayal of family, and of the beauty in despair; just be sure to have a lighter read waiting in the wings. This entry was posted in Arts, Books and tagged australian fiction, books, debut novel, fiction, lip lit, literature, novel. Bookmark the permalink.